Mytoslim Review (UPDATED 2019): Is It Safe? Mytoslim Review: Is It Safe? offers what they said is a harmless and efficient way to lose fat. They also claim you can reach that celebrity body you always wanted. They also mention their key active ingredient has 9 patents across the globe though they offer no evidence of this fact. At first glance this product seems to offer a lot, so what can it do exactly? Straight from California comes the Weight Management Institute, the makers behind this product. Though they offer a money back guarantee some customers have complained online of them being charged for products already returned. It is also concerning that they do not feature their own website to let customers know of company policies and practices. Fat burning is set to occur with the enzymes found within this brand. At a supposed rate of 3 times the fat loss of a normal metabolism, this product when combined with less calories and more exercise will increase metabolism furthering weight loss. Fat is also converted into energy instead of being stored, this energy surplus is intended to be used in a gym setting. Currently there are only stock photos of fit women and no clinical trials or customer testimonials offered. 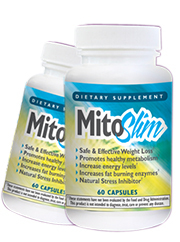 For unknown reasons there are two websites one from Mytoslim and another from Mitoslim. Both sell their formula but both feature entirely different ingredients. This is especially concerning as there is a typo on the Mytoslim site that incorrectly spells the name of the manufacturer. It’s difficult to determine why the manufacturers have spelled their own name wrong which makes it seem like they are really the copycat site. Finding a comprehensive ingredient list with a trusted site from an all natural weight loss pill is now made possible. 3-Acetyl-7-Oxo-Dehydroepiandrosterone: Works as a steroid in the body which has been used to treat weight loss and increase muscle gains. This ingredient has been banned by the World’s Anti Doping Agency. Thiamin: Affects the way carbohydrates and fats are taken in, it is an essential B1 vitamin that must be taken as complications occur with deficiencies. Panax Ginseng Root: A root used in Chinese culture that acts as a stimulant. Riboflavin: Known as Vitamin B2, it is added to help metabolize fats into energy. Biotin: Vitamin B7 intended to metabolize fats, glucose and they help in regulating DNA. Folic Acid: Helps the body regulate itself. Vitamin B6: Helps keep healthy brain support and blood flow. Vitamin B12: Found in various foods and used to preserve memory from being lost. Pantothenic Acid:Breaks down fatty acids. Potential Side Effects: Confusion, mood changes, vomiting, diarrhea, rash, upset stomach, inability to sleep and headaches. A 14 day trial bottle is offered for first time customers. Though it does feature some potentially useful ingredients there seems to be very little to support this products use. Many of the B vitamins featured are more than likely already included in your diet and they do not require further supplementation. Tackling the key ingredient may be useful but because the manufacturers never state how much is inside it makes it hard to track if this product is a good source. They offer no information at all at a nutrition fact list which is bad for people with allergies or those looking to get a good quality source. Although it mentions the key ingredient is widely accepted as functional across the world they do not publish any facts to back up these claims. It’s left up to the consumer to try and realize what exactly this product is capable of. This is even more alarming as many of the ingredients can have detrimental side effects when taken in excess. Not knowing the strength of something meant to change your body is not an intelligent approach to weight loss. With very little recourse and no history of company practices besides a few customers complaining about overcharging, you’re left without a reason to trust this product. It would be great if all the things they said were true, but no evidence is provided. Instead all you have is a quick form to put your credit card information without knowledge of how this will affect your well being. 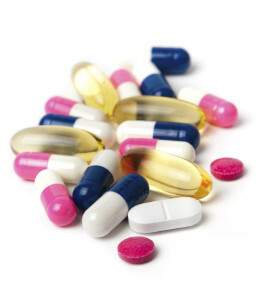 Supplements should not have to solely rely on a marketing platform to get you to buy their products. Instead, look at the actually useful products in circulation meant to create a change within you. All natural weight loss products you can confide in now exist. Look after yourself by making the choice that can help you reach your fat loss goals.